If your facility is exposed to harsh chemicals and corrosive elements, chemical-resistant floors, walls, and linings are a necessity. Read why choosing the right product for plants, tanks, and containment areas is critically important when it comes to protection from chemical attack. The chemical processing industry is characterized by a number of operations from basic petroleum refining to the production of high-grade chemicals. Plant assets are exposed to chemical and corrosive attack, and reliability, safety, compliance and efficiency are key priorities. Chemical attack can quickly take its toll on a facility and its assets. Continually repairing and replacing floors, walls and linings as a result of this abuse can be costly both in repairs and rehabilitations as well as lost production time. Chemical resistance extends the functional life of floors, walls and linings thereby saving time and money in replacing damaged materials. In addition to extending the life of your investment, chemical-resistant floors and walls can help mitigate the impact of unsightly chemical stains. Seamless, chemical-resistant floor and wall systems also offer ease of maintenance and cleaning. Appropriately selected chemical-resistant linings ensure environmental and safety compliance within tank and containment areas. Where seamless, chemical-resistant floors are installed, not only is the concrete beneath protected, but hazardous materials are prevented from being released to the environment. In addition, seamless, chemical-resistant flooring systems can be formulated with material properties to increase traction – an important factor in protecting employees and visitors. This slip-resistant flooring helps protect in hazardous conditions where liquids or other materials may come in contact with the floor. Stonhard’s chemical-resistant systems withstand years of abrasion, impact, and spillage of industrial chemicals, while maintaining an attractive, easy-to-clean and slip-resistant surface.  Stonchem, Stonhard’s high-performing resin chemistries, provide exceptional lining protection for ultra-corrosive environments and perform under extreme physical conditions. Learn more about Stonchem here or call us 800.257.7953 to set up a site visit.